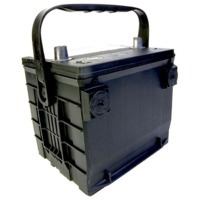 Browse automotive-batteries suppliers by country and region. Great Power Energy & Technology Co., Ltd.
Lithium ion battery, lithium polymer battery, lifepo4 battery. Lead acid automotive & motor cycle batteries. Aolong Electrical Source Co., Ltd. Automobile (car) storage battery, motorcycle storage battery, electrical vehicle battery, maintenance - free battery, sealed battery.